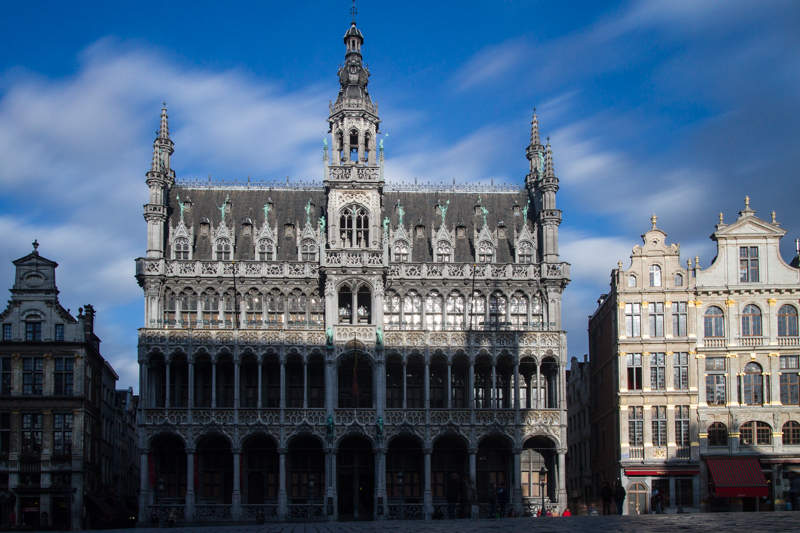 Brussels is a beautiful and fantastic city, cosmopolitan, architecturally and culturally exciting, great to walk around and full of lovely and interesting people. This week I will be posting only photos of Brussels. This is the Grand Place. I didn’t have a tripod, but I had my beanbag with me so I set it on the curb and shot a 15s exposure. It doesn’t normally look that empty! You might find me masochistic but even though I live in China, I find it quite fascinating to explore the way the Chinese live abroad (when feasible obviously). It turns out that there’s a sizeable Chinese minority in Vietnam, dating back from colonial times and even before. So unsurprisingly, there’s a pretty big Chinatown in Saïgon. 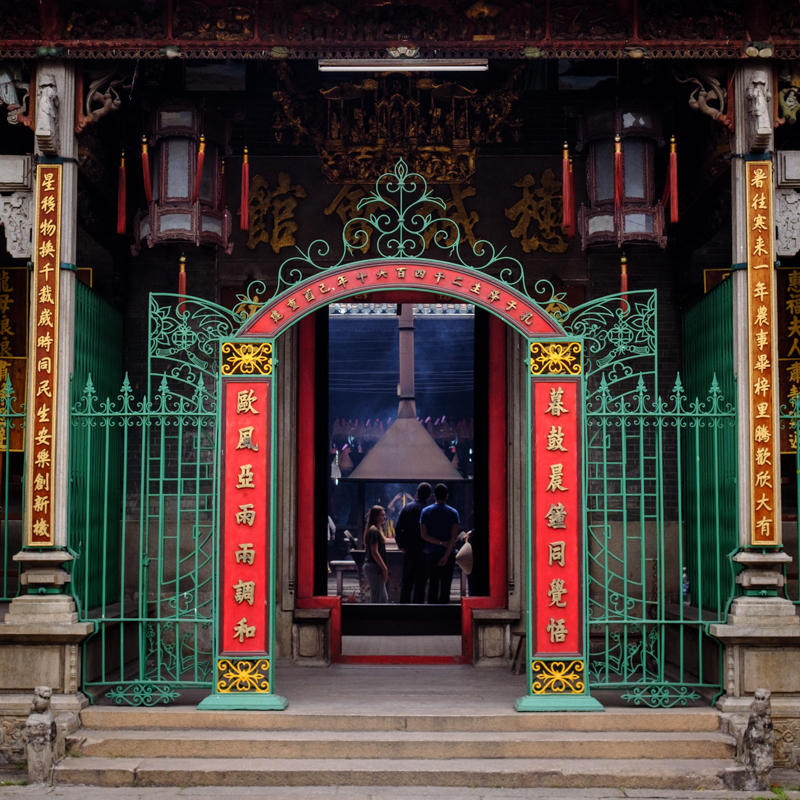 We visited there the Thiên Hậu Temple which is a Chinese Buddhist temple in the heart of Chinatown, and even though it is small, it had something that we rarely see in China: authenticity. Most of the temples we have visited here have been reconstructed so many times that there’s no sense of history. This one was built in the XIXth century, but still largely as was. I’ll be sharing more photos from this tiny but fascinating place. I always meant to explore Bulb mode for really long exposures, but have rarely found the opportunities to do it. 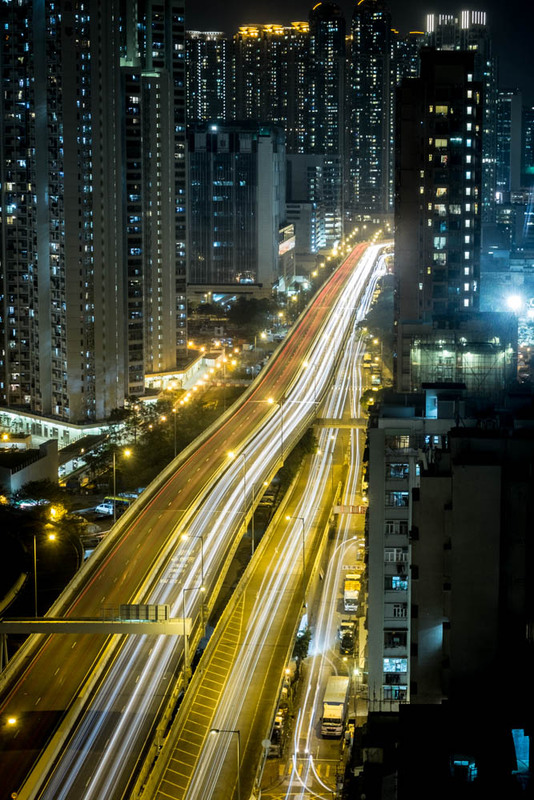 Monday night I realized my 21st floor hotel room overlooked a highway amidst tall Hong Kong buildings. I set up my tripod against the window sill and voila! This is a rough version as I’m posting this from the airport and haven’t had time to really tweak the colour temperature, but it’s interesting (I think). It’s easy to forget after all that happened there in the last 50 years that Vietnam was once French. 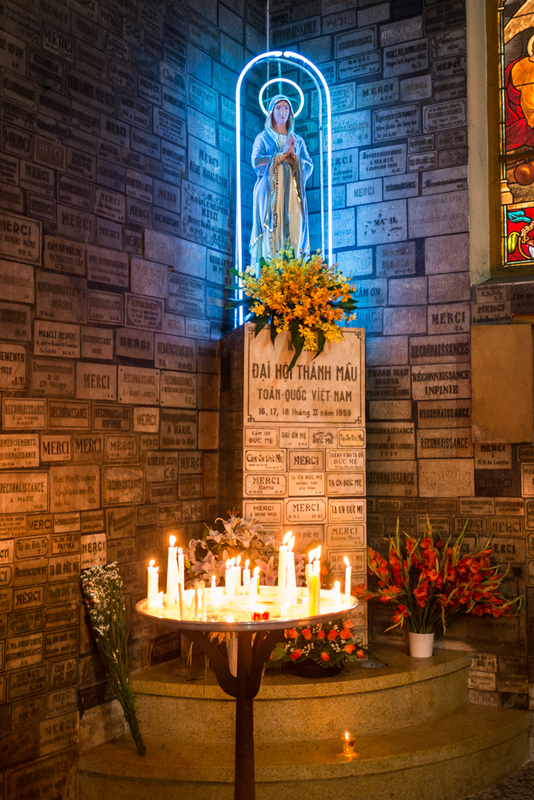 In fact, there seems to be a certain pride still in Saïgon that South Vietnam was once Cochinchina, the only French colony in Indochina (the other regions were protectorates) and that Saïgon used to be know as the Pearl of the Far Orient. There are lasting traces of the French colonial times, but none so impressive as Notre-Dame de Saïgon, a cathedral built entirely of pink stone from Toulouse. Inside there is to this day a blend of Christian imagery and vietnamese votive plates, something I found photographically quite irresistible. I’ve always had this fascination for the really deep escalators of the London Tube. Every time I go there I try to capture the steep ride, this is my most recent attempt. 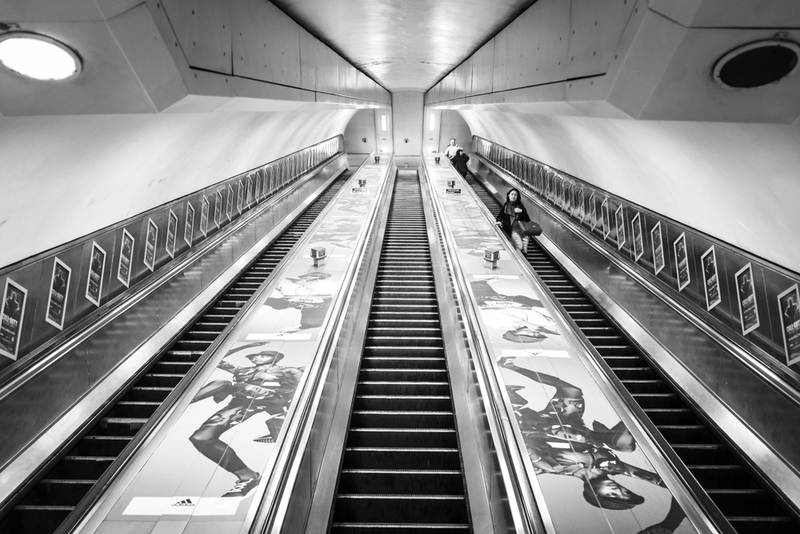 I remember being even more impressed by the Moscow underground escalators when I went there 15 years ago. I didn’t do much photography back then, sadly. I’ll have to head back there, I guess. I rarely go abstract on my photography, but I love repetition, and I felt this repetition of roofs was better served by a horizontal line going through them. What do you think ? 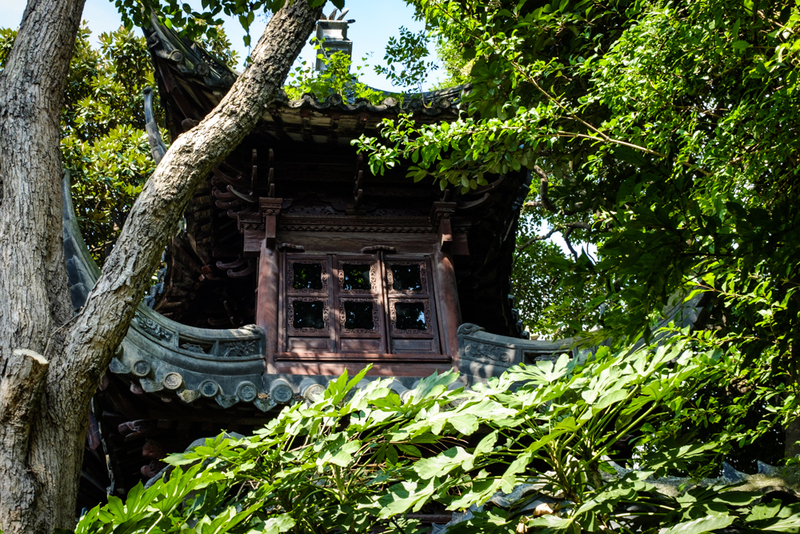 One of the things that amazes me in Shanghai is how such beautiful and lush trees and grow and thrive despite the city itself and the unbearable pollution. And yet they thrive. Of course, this was in the middle of a garden, but believe me when I say that just on the otherside of a wall not 10 meters away from there is a bustling city full of concrete, cars and street vendors. 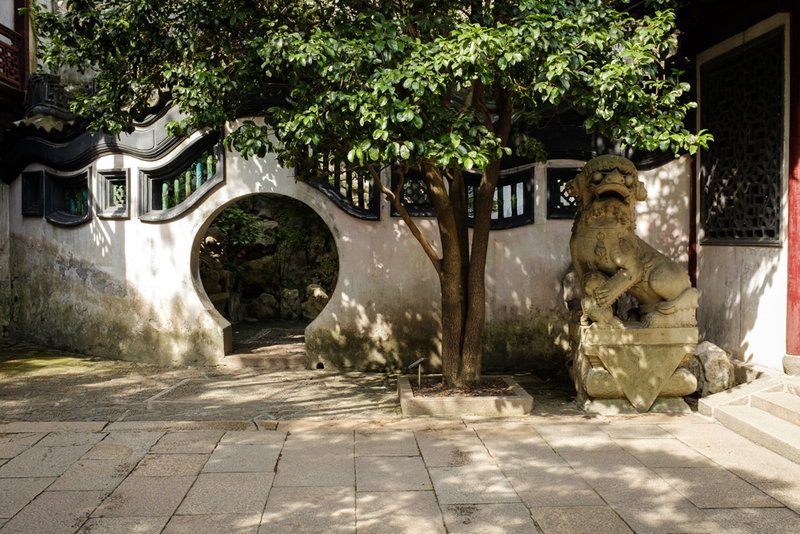 A scene typical of what you will find in Yu Garden, walking around a corner into a little square. The labyrinth like gardens hide many surprises. 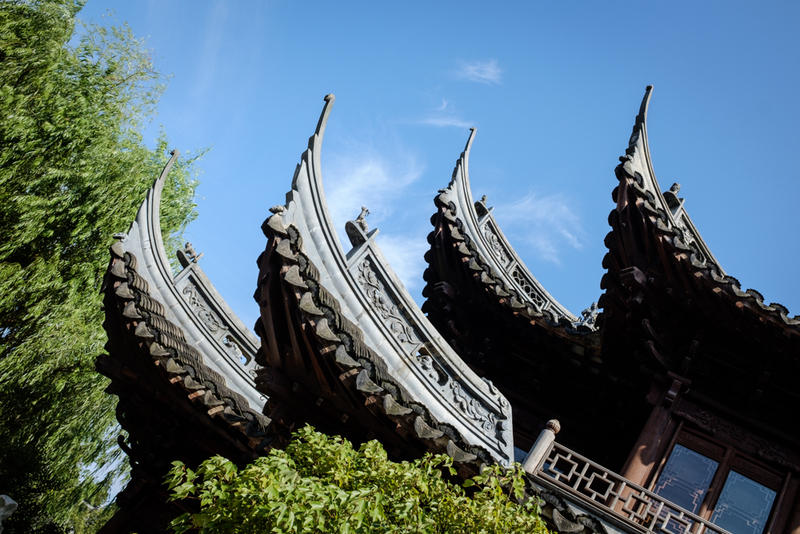 Yu Garden (aka Yuyuan Garden) is a fantastic place in Shanghai, one of those places that feels completely disconnected from the city, at least when you visit it early in the morning as I did, before the hordes of tourists invade it. 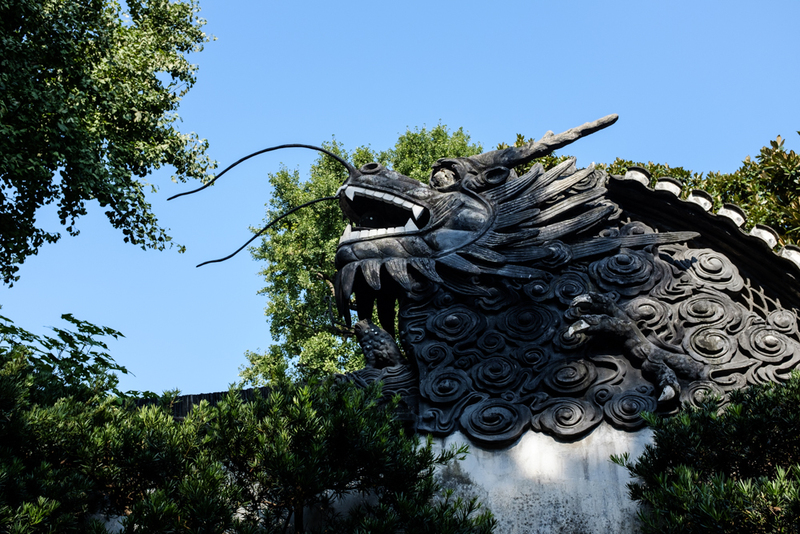 One of its amazing features is that it has a series of dragons adorning the top of the walls with the snake-like body and scales running all the way through the whole complex. This is one of the heads of the dragon. This one has recently been to the dentist.